A combative and outspoken leader in the women's suffrage movement, Alice Paul broke away from the National American Woman Suffrage Association to form the more radical National Woman's Party. She clashed with Woodrow Wilson, who was affronted by Paul's "unladylike" tactics, including her protests outside the White House. Born into an affluent Quaker family in Moorestown, New Jersey in 1885, Paul earned degrees from Swarthmore and the University of Pennsylvania. 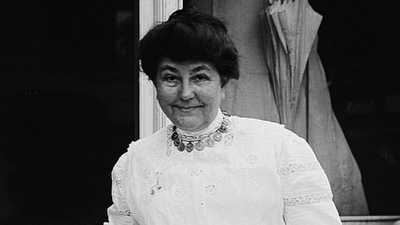 She learned the militant and defiant tactics employed by the British suffragists while studying and working in England. At the time, Englishwomen were making their demands visible by parading in the streets, forming picket lines, and giving public speeches in support of their aims. Returning home, a radicalized Paul - along with her friend Lucy Burns - joined the National American Woman Suffrage Association (NAWSA). Their first move was to mount a renewed campaign for a constitutional amendment that would give women the right to vote. The day before Woodrow Wilson's first inauguration, on March 3, 1913, Paul organized a women's suffrage parade of more than 5,000 participants from every state in the Union. The festivities drew hundreds of thousands of spectators, but as the day progressed, some onlookers began assaulting the marchers. The police did little to stop the attack. Despite the violence, the parade succeeded in obtaining Paul's objective: focusing national attention on the women's suffrage issue. Unhappy with Carrie Chapman Catt and the NAWSA, whom she viewed as too conservative, Paul soon broke away to form a more radical group, the National Women's Party (NWP). 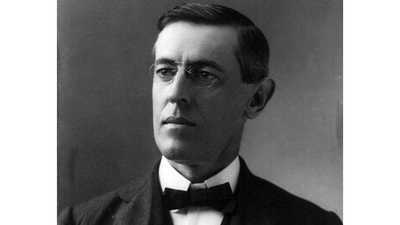 This organization decided to focus its efforts on President Wilson, who in 1917 still did not support a women's suffrage amendment. Paul organized the "Silent Sentinels," a group of women who protested in front of the White House, holding banners which proclaimed, "Mr. President -- What will you do for woman suffrage?" The picketing continued even as America readied for war. The suffragists were first harassed, then arrested. 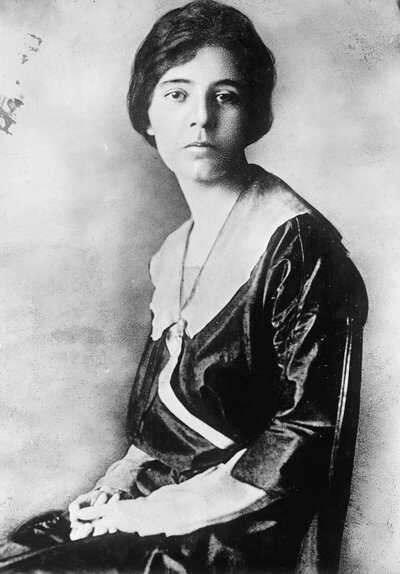 Sent to the Occoquan Workhouse in Virginia along with many others, Alice Paul began a hunger strike. Force-fed through tubes and threatened with commitment to an insane asylum, Paul remained steadfast. Wilson was offended by Paul's tactics, but he was also keenly aware of the suffrage movement's growing political strength. By the end of 1917, Wilson finally announced his support for the suffrage amendment. The Nineteenth Amendment giving women the right to vote passed in 1920. For the rest of her life, Alice Paul continued her work for the equality of women around the world. At age 37, she earned a law degree, and wrote the first version of the Equal Rights Amendment in 1922. Following World War II, she fought to include gender equality in the charter of the United Nations. She died in her hometown of Moorestown, New Jersey in 1977. Learn about Wilson's life, from his southern childhood, to his rise in academia, to his political career. An intelligent woman with notable artistic talent, Ellen served as the 28th first lady. 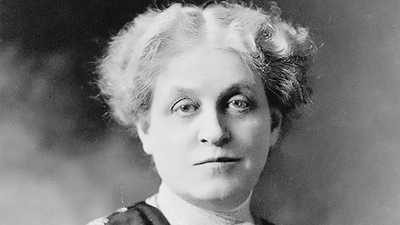 A dynamic speaker and tenacious organizer, Carrie Chapman Catt was a powerful force in the women's suffrage movement.